Cutting of different types of iron plates up to 25 millimeters thick and 6 meters long by professional hydraulic guillotine machines. The obvious feature of these devices is their high speed and accuracy. By relying on these features, your orders will be made as soon as possible with the desired quality. 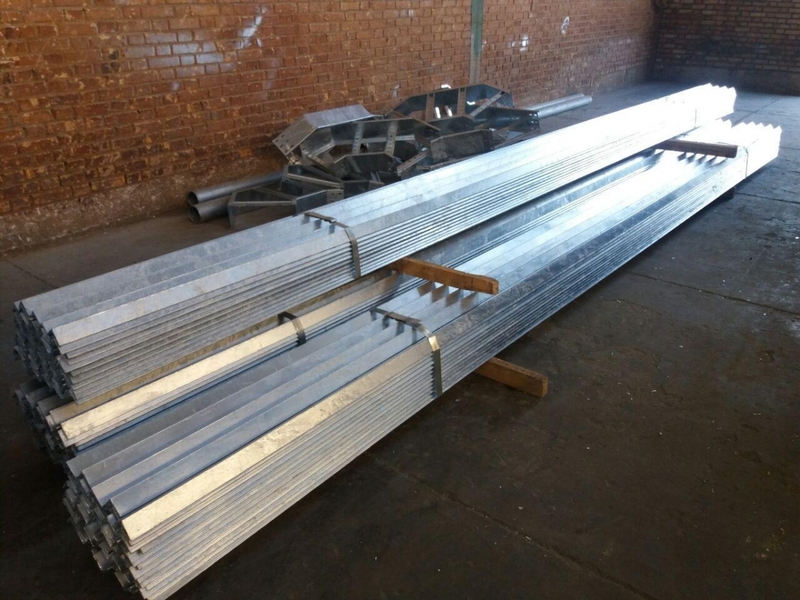 Galvanizing is a process of applying a thin layer of zinc coating on the surface of iron and steel parts to protect the surface of steel against corrosion. 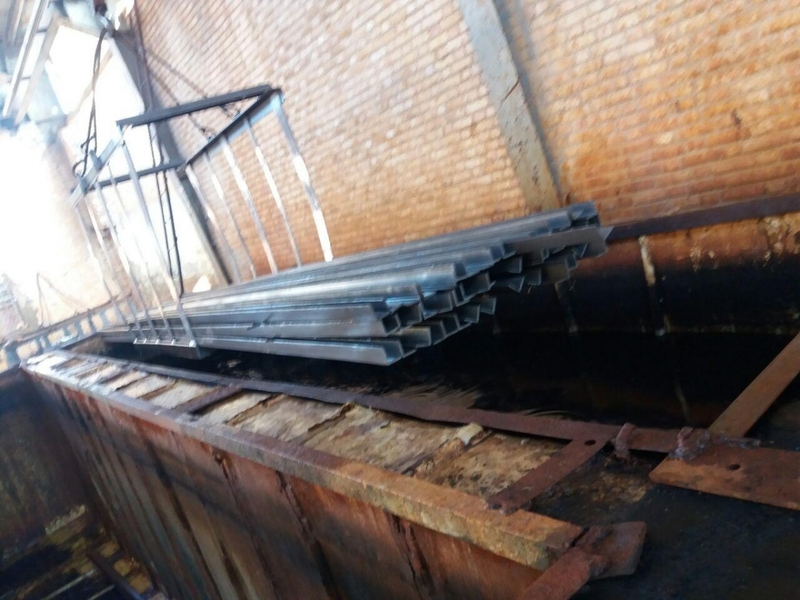 The hot galvanizing process is a special type of galvanizing method in which the zinc protective coating is applied by immersing a steel part in a molten bath on top of it. 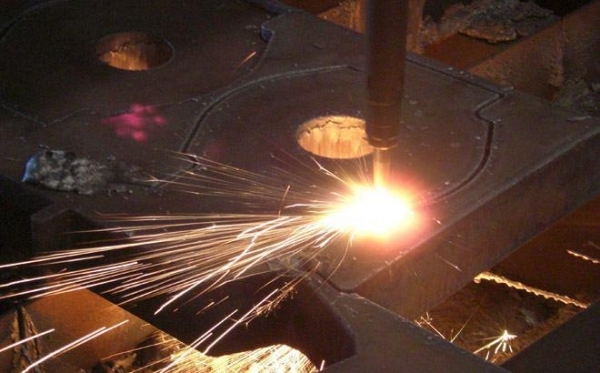 Zinc coating protects steel against corrosion. This process involves several steps, including preparation, cleaning, flocculation, hot galvanizing, cooling, and quality control. 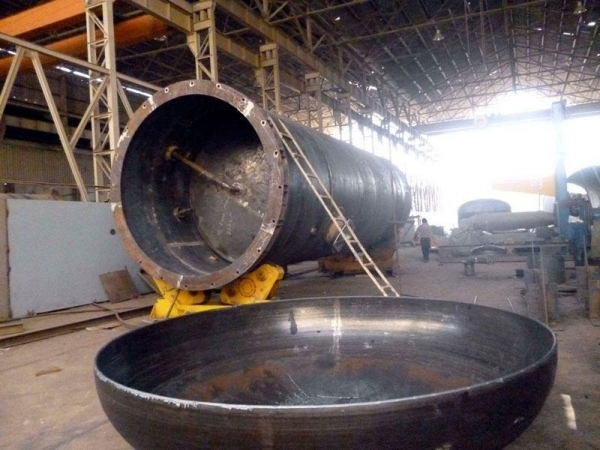 Each step of the process is controlled in such a way that a set of appropriate coating thickness, quality, appearance and optimal performance in accordance with the international standard ASTM Enjoyed. This unit is capable of galvanizing various steel structures with the most advanced equipment and the latest technology of hot galvanized industry with dimensions of 6 meters and 1 meter wide.